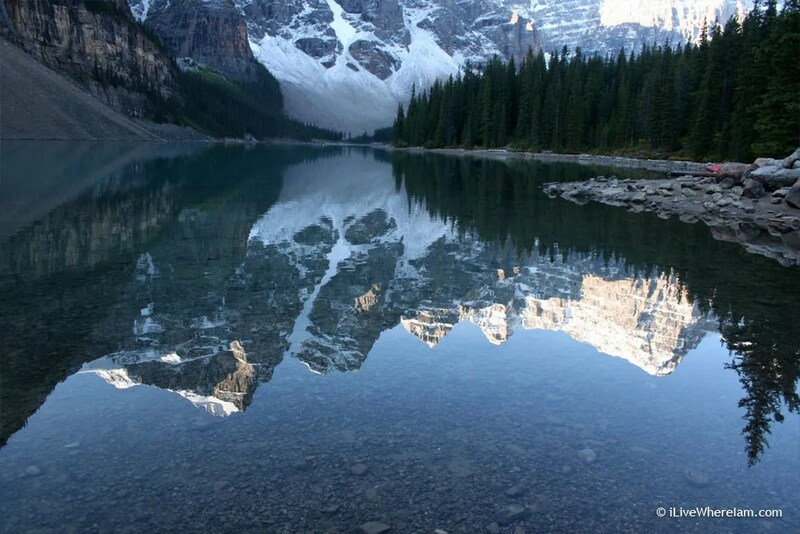 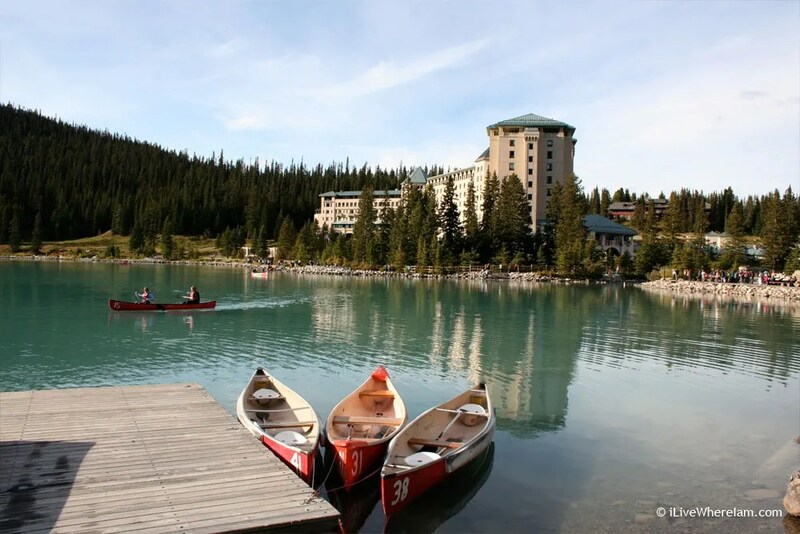 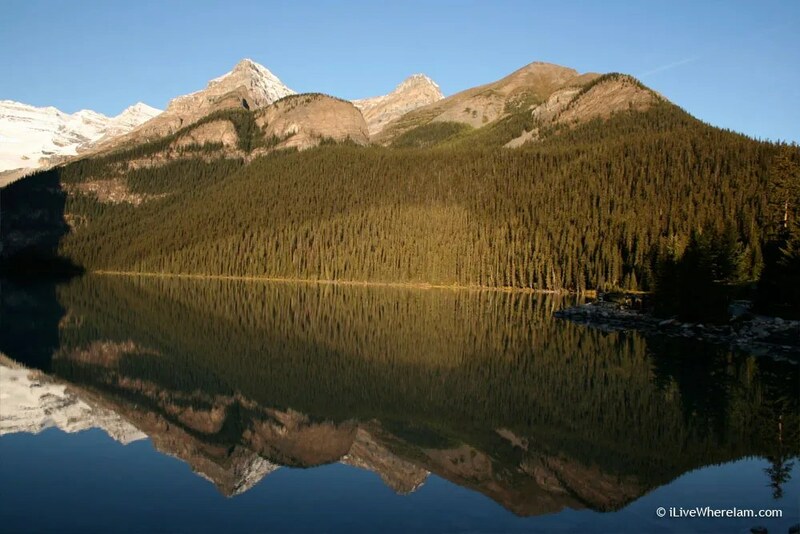 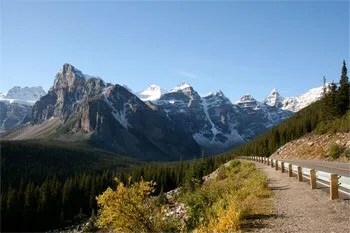 Banff and Jasper National Parks are located on the western edge of Alberta, Canada. 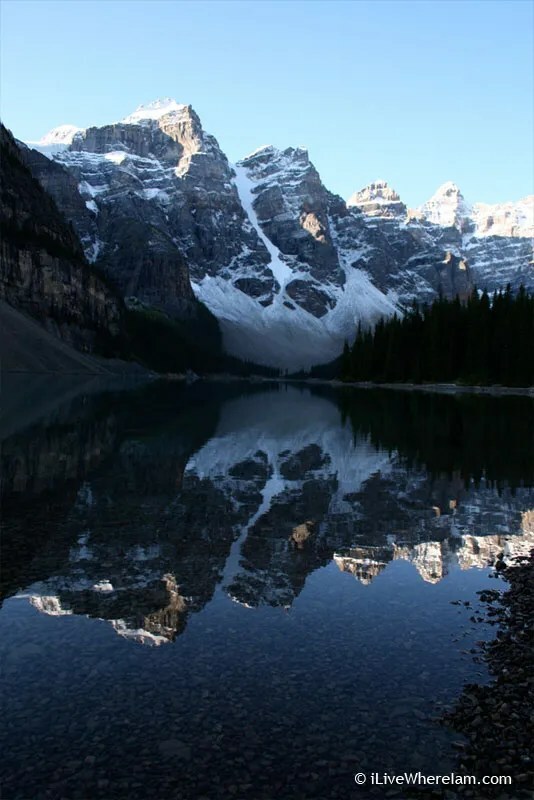 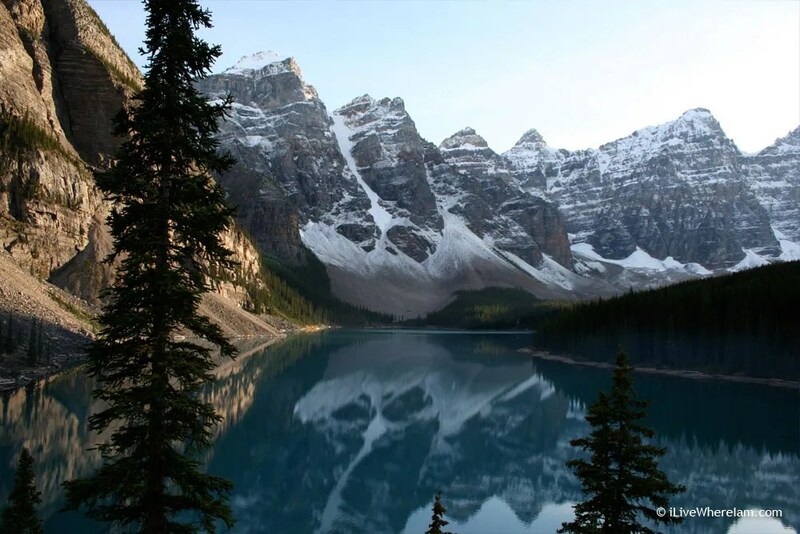 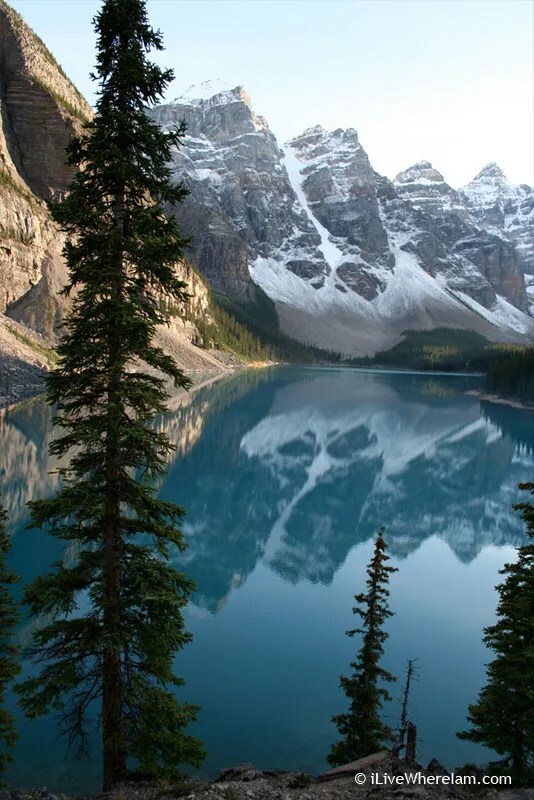 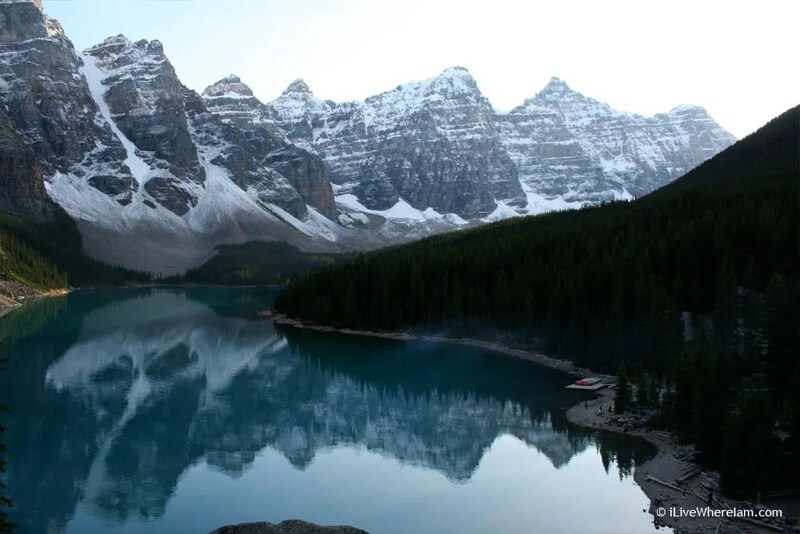 In Banff National Park, situated at 6,183 feet (1,885 meters) in the Valley of the Ten Peaks, Moraine Lake offers an impressive reflection of the over 10,000 foot (3,000 meters) peaks in the distance. 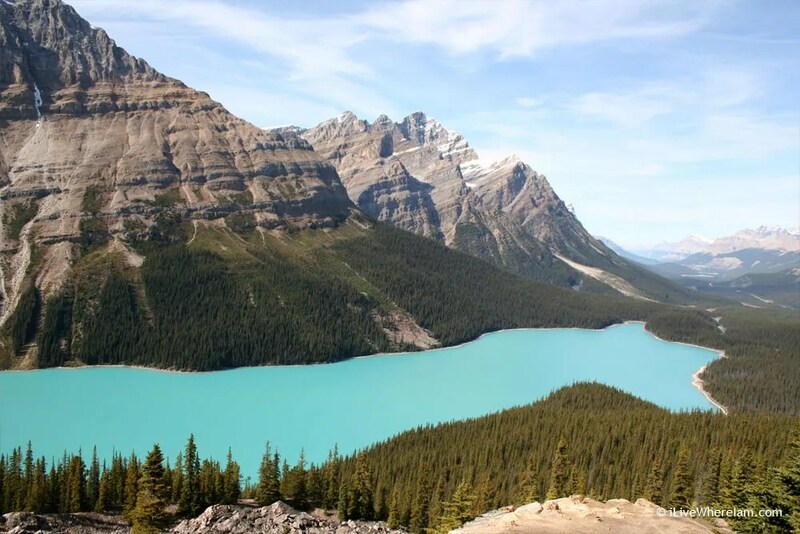 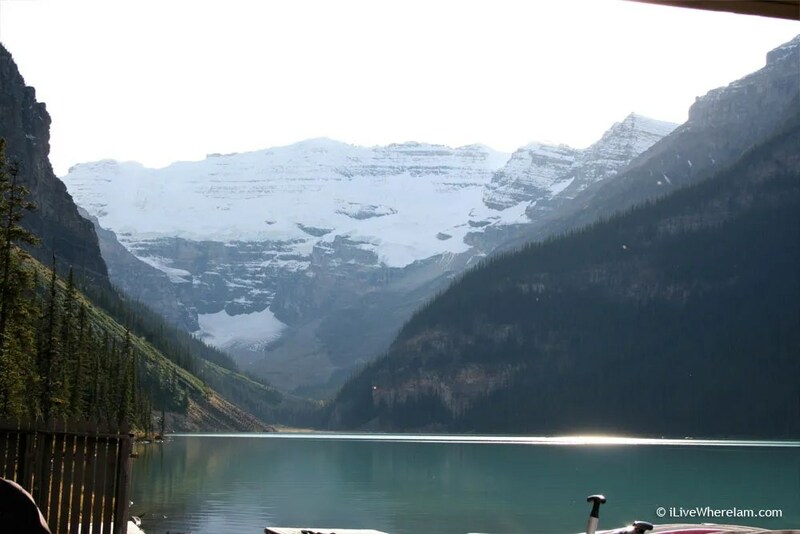 Follow the Icefields Parkway (Hwy 93) north and search out Peyto Lake – a glacier-fed lake that gets its striking turquoise color from particles of rock flowing into the lake during the summer. 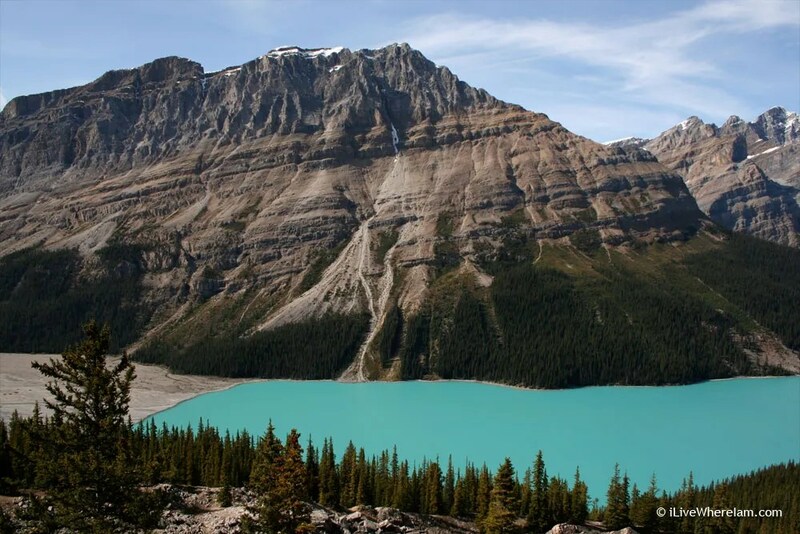 Download the Free Desktop Wallpaper of Peyto Lake in Banff National Park, Alberta, Canada. 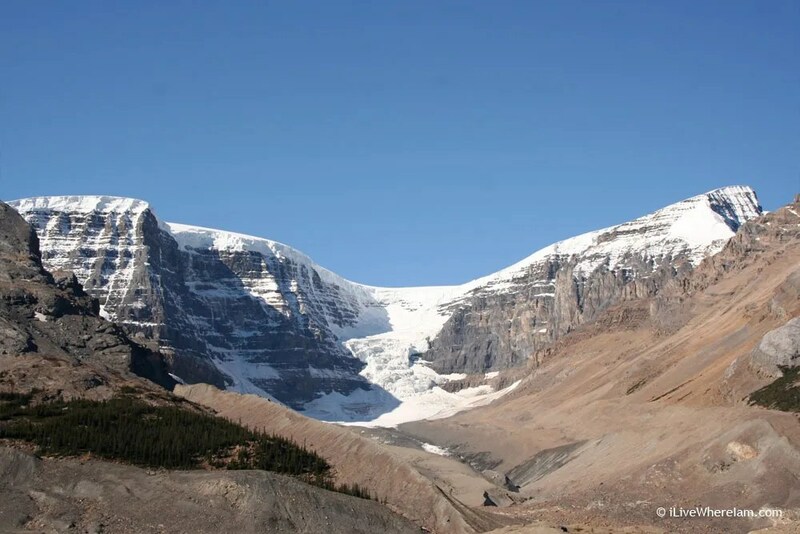 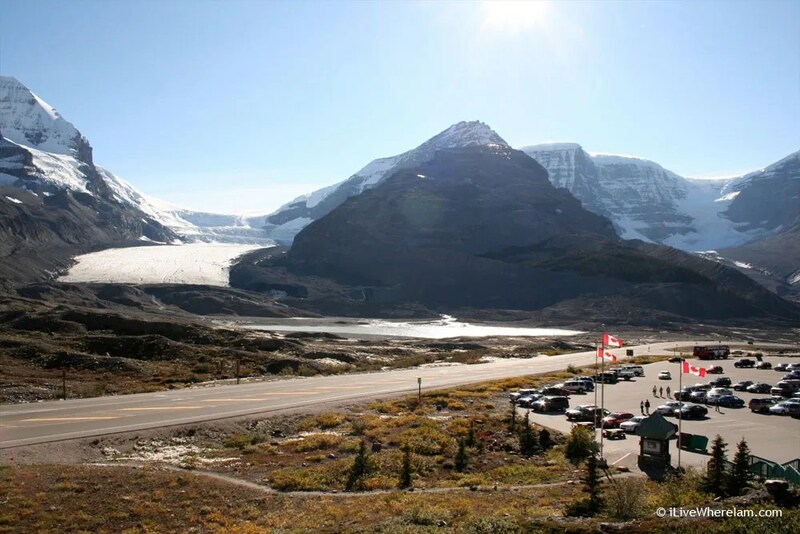 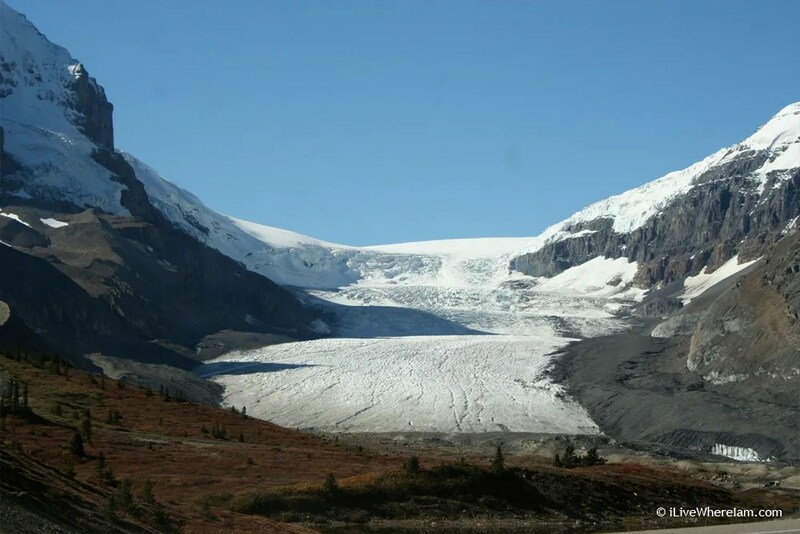 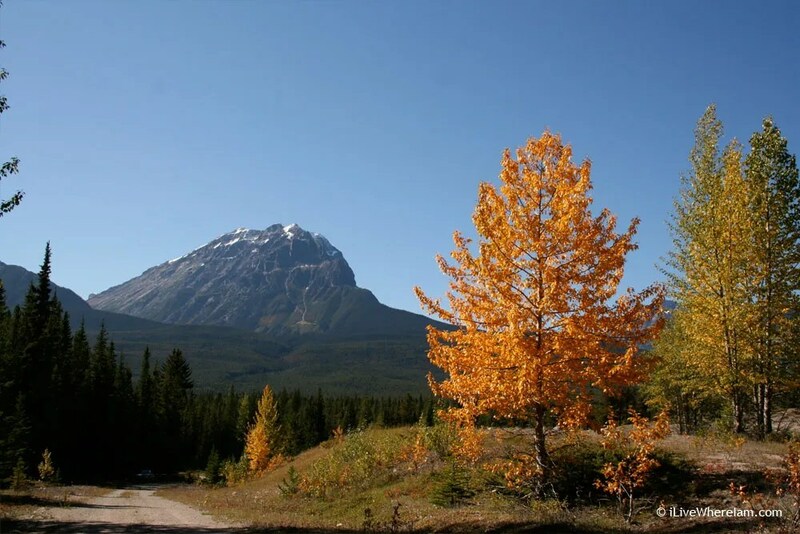 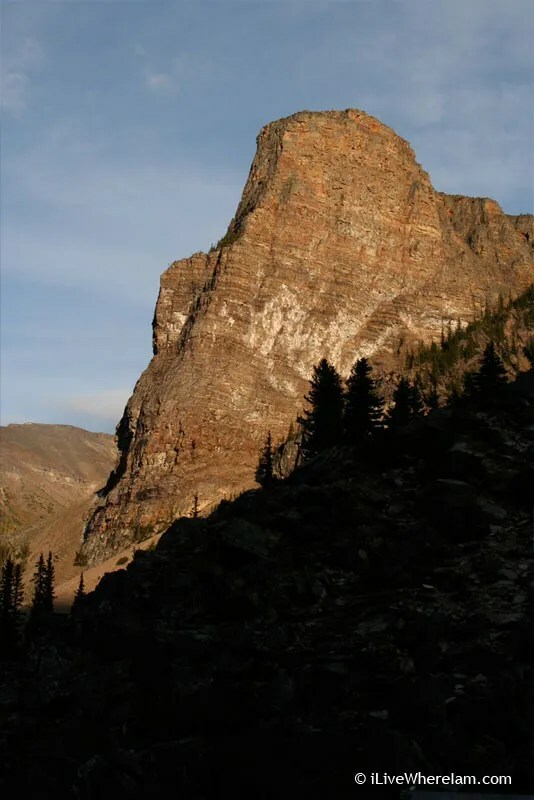 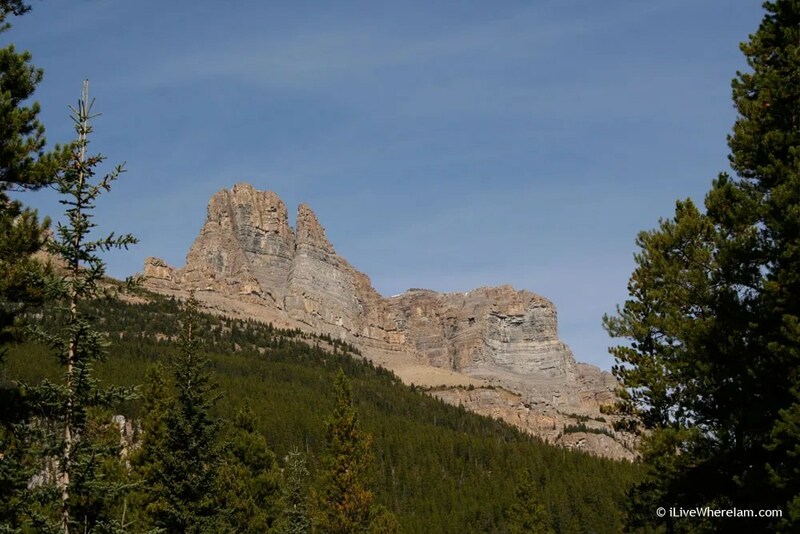 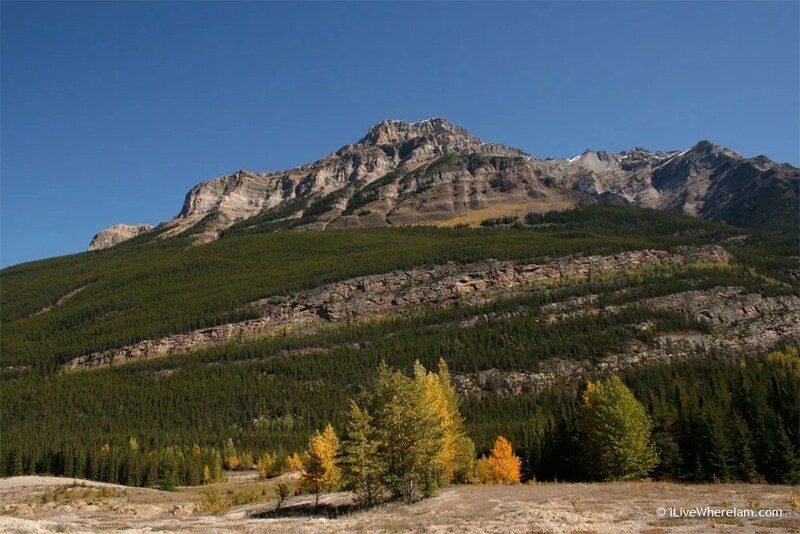 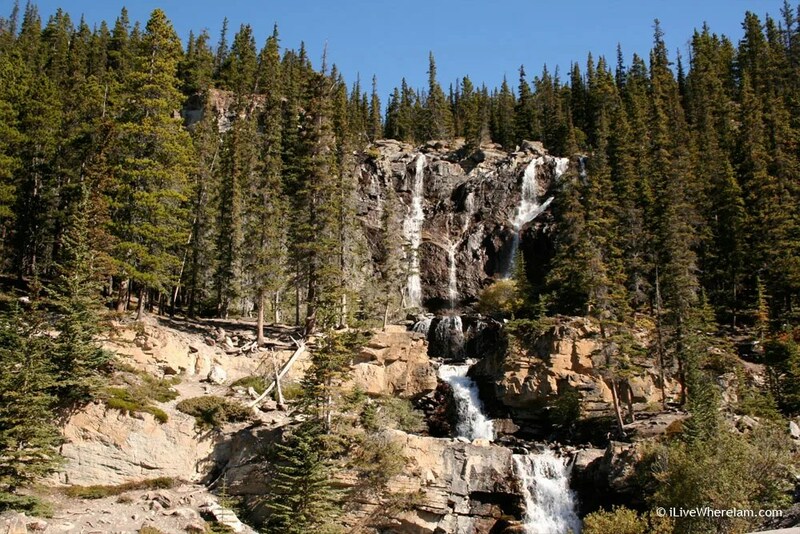 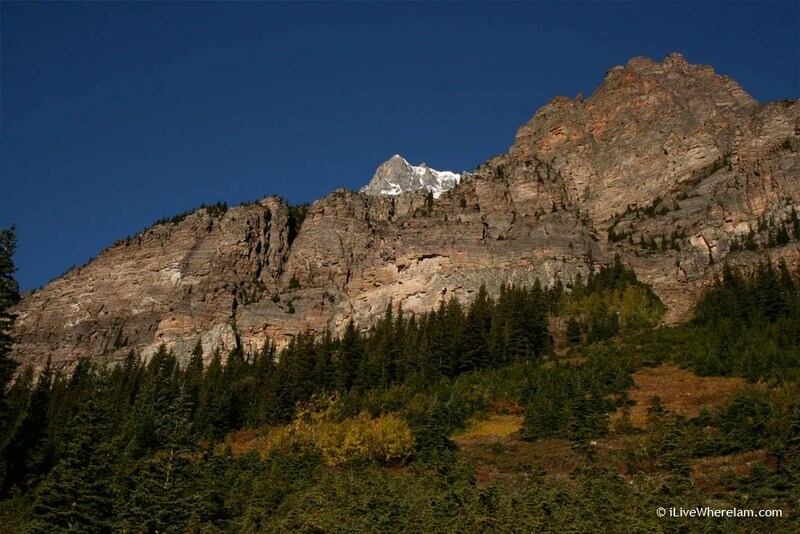 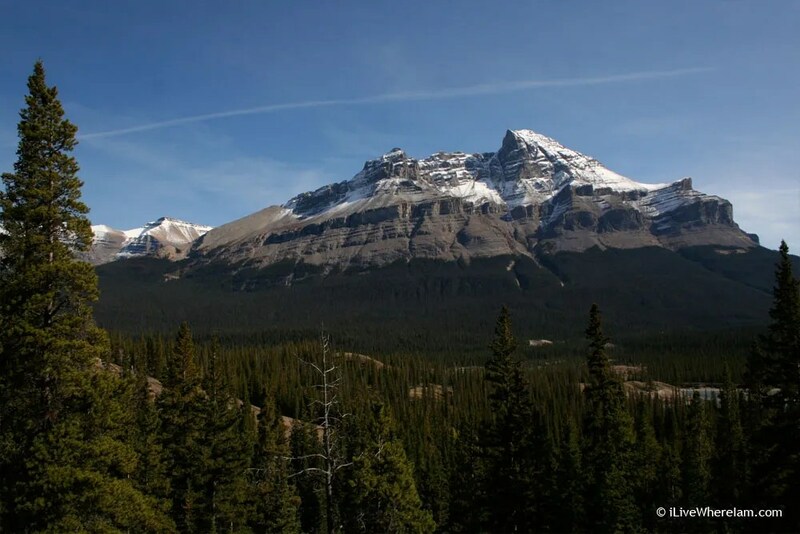 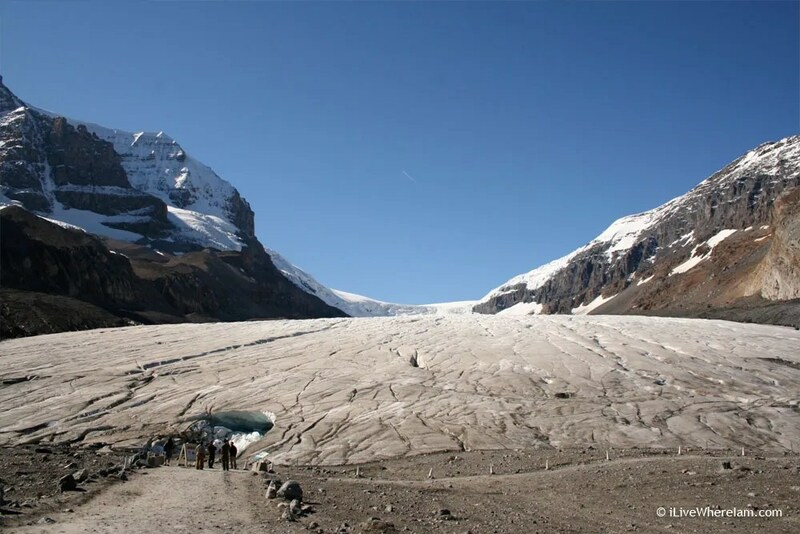 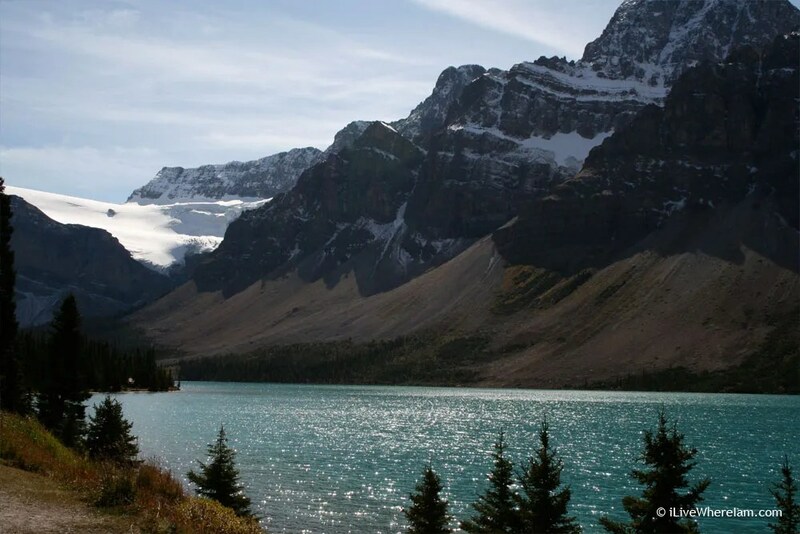 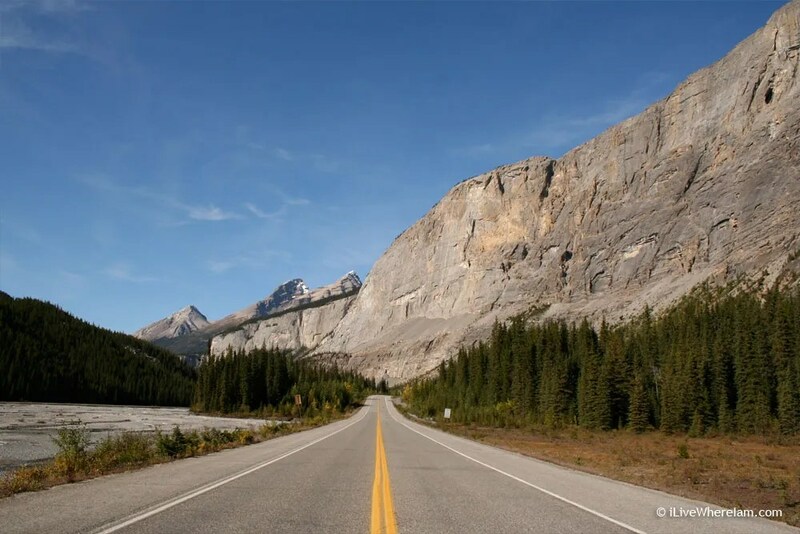 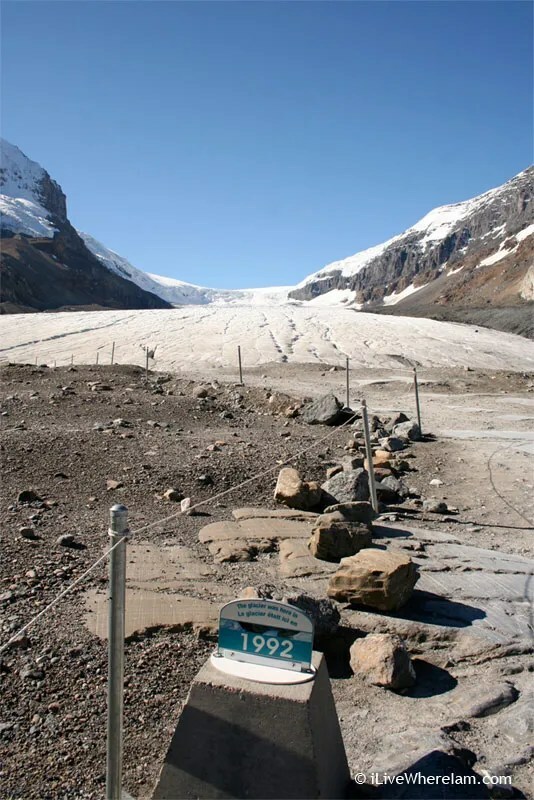 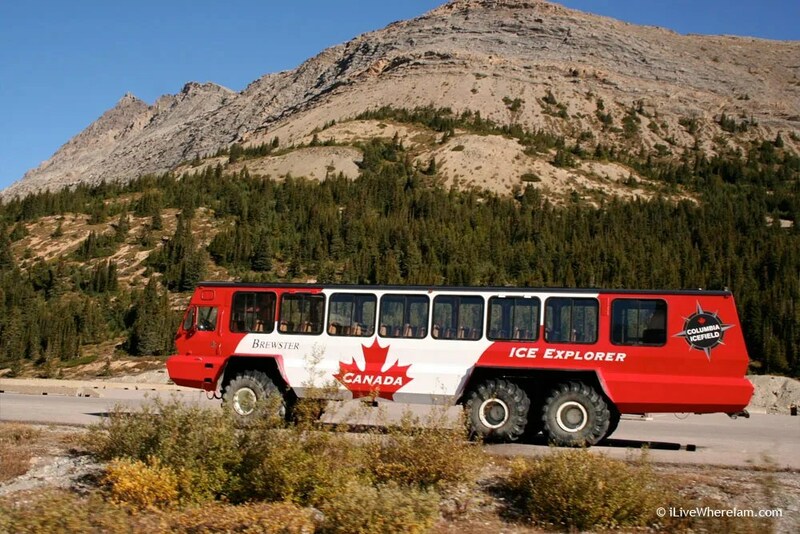 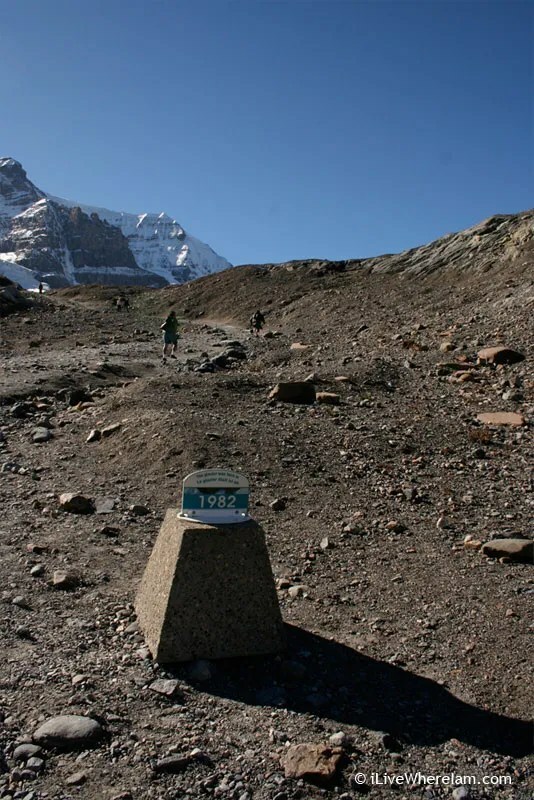 Continue north on the Icefields Parkway to reach Athabasca Glacier in Jasper National Park. 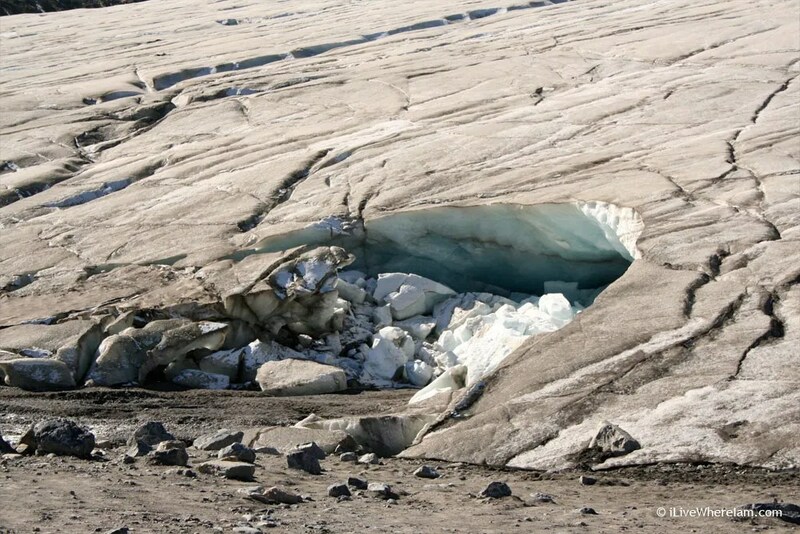 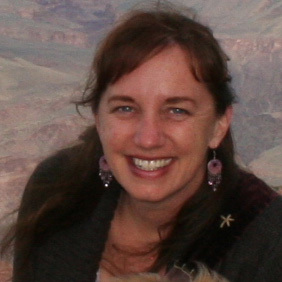 The glacier is 6 km (3.75 miles) long and is receding 2-3 meters per year.